If you do, brace yourself. You may want to get rid of it because they tend not to work in small churches like they work in large churches. In fact, some of the problems that you think are people related may in fact be Org Chart related. In small churches, having an Org Chart can cause more frustration than they’re worth. The reason Org Charts tend not to work in small churches has less to do with the nature of small churches than with the nature of Org Charts. Simply put, an Org Chart is a way of visualizing who does what and who reports to whom in an organization. A typical Org Chart will have a CEO at the top, with VPs underneath them, then department heads, all the way down to the average worker. In a church, it’s usually the pastor at the top (or we’ll give Jesus that spot) followed by staff, then department heads, then members. Unless it’s a congregational church, in which the members hold a position under Jesus and above the pastor, while those same members are also under the pastor in ministry positions… and my head is already starting to hurt. Some Org Charts will be arranged in a circle instead of a top-down structure, but all Org Charts have one thing in common: they are relatively static structures, with the positions staying the same, while the people who fill those positions come and go. The smaller the organization is, the less helpful an Org Chart becomes. An Org Chart becomes more necessary the larger the organization is – whether a for-profit business, or a non-profit church – because it keeps a highly complex system relatively understandable. Employees/church staff can readily see who is supposed to do what and who reports to whom. But the smaller the organization is, the less helpful an Org Chart becomes. This is why they tend not to work as well in small churches as they do in our bigger counterparts. 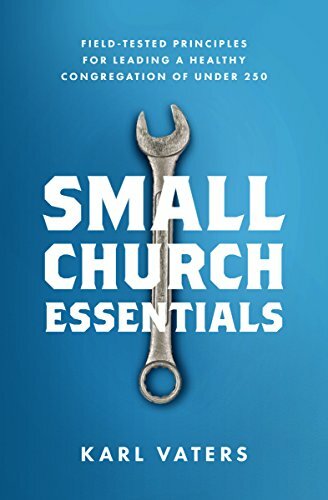 There tend to be two types of small churches, organizationally. Dynamic small churches and static small churches. Static small churches operate by Org Charts (either explicit or implicit), while dynamic small churches operate by relationships. Like a large organization, a static small church has an Org Chart with positions that need to be filled. But in a small church the pool of people to draw from is so limited that finding the right fit for each position can be very difficult, if not impossible.